Digraphs and vowel combinations could be confusing to some students. 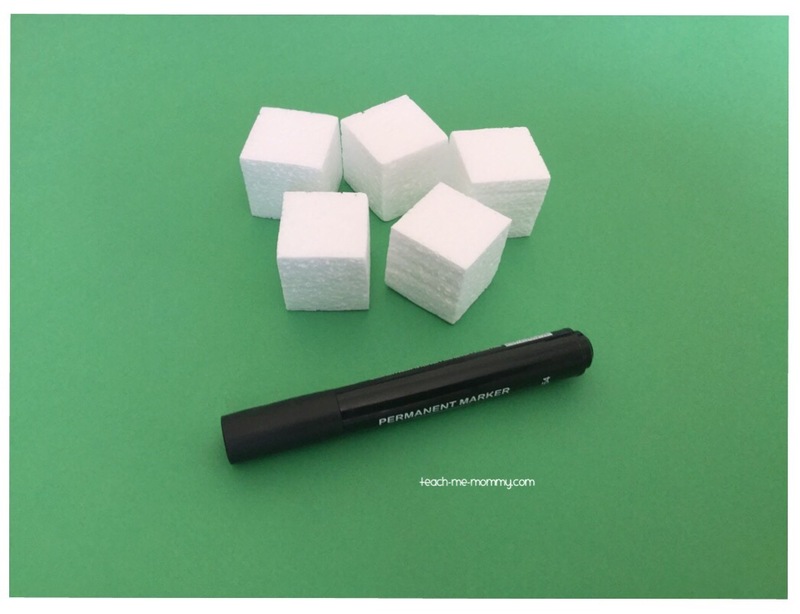 Making use of these polystyrene dice will help them understand the concept better and assist in phoneme manipulation. Read more about phoneme manipulation to understand the importance of it for reading. I always use a red marker for vowels and a green marker for consonants to have a visual difference for our visual learners. For these dice I used black for the vowel combinations too. So, on the dice, I wrote all the common variations for a vowel. For example the “long a” can be spelled “ay” like in “day”, “ey” like in “they” etc. The “long e” can be spelled “ee” like in ” bee” or “ea” like in “dream” etc. These are just examples. You can more HERE. I did the same with the digraphs my kids are learning at the moment. The “th”, “ch”, “sh”, “ck”, “ng” etc. The idea is to spell a word with the dice, choosing the correct combination of letters to build the word. For instance, “th”, “a” and “t” spells “that”. I make the kids attent on the fact that the first “t” is with a “h” on one dice because it is one sound “th”. With words like “wheat”, the learners must know which option on the “e” dice will be the right one(the “ea”), “wheet” or “whet” is incorrect. Change up the word by using phoneme manipulation: “wheat” can become “cheat”(beginning sound change) or “what”(middle sound change) or “whack”(ending sound change). These digraph and vowel combinations dice are a hands-on way to practice all those tricky words. I found these awesome COLOUR DICE you can use like I used the different colour markers. Make word building fun with these DIY dice! 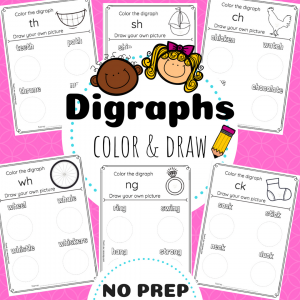 Do see these digraph NO PREP worksheets!